Orlistat is a medicine used to help obese patients lose weight. It contains 120mg of the active ingredient with the same name and may be prescribed to patients with a BMI above 30. Orlistat can also be sold under the brand name Xenical. What is Orlistat and what does it do? Orlistat is a medicine used to help obese patients lose weight. It contains 120mg of the active ingredient with the same name and may be prescribed to patients with a BMI above 30. Orlistat works by binding to enzymes in the digestive system called lipases. Lipases break down fats from your food so that it can be absorbed in the intestines. When this effect is hindered, the fat from your food will pass through the intestines instead of being absorbed. Orlistat is indicated for use in patients with a BMI above 30. It may also be prescribed to patients with a BMI above 28 if there are associated risk factors present, such as type 2 diabetes. What does BMI mean and how do I measure my BMI? BMI is short for Body Mass Index. It is a chart used to help yourself and health professionals understand your healthy weight range based on your height. WHO, the World Health Organisation, considers a BMI of between 18.5 and 25 represent a healthy weight. A BMI of 30 or above is considered obese. Is Orlistat suitable for my condition? Orlistat may be prescribed if you are obese with a BMI of 27 or above. There are however some medicines and conditions that may affect the suitability of Orlistat. 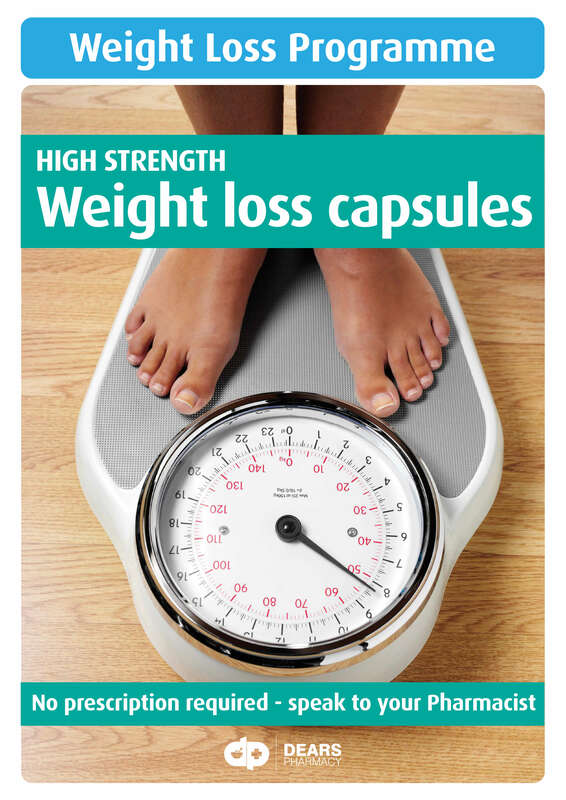 If you are allergic or sensitive to orlistat of any of the other ingredients in the patient information leaflet. If you suffer from chronic malabsorption syndrome. If you are taking ciclosporin. If you are taking acarbose (to treat type 2 diabetes mellitus). Always let our doctors know if you are taking any other medicines by including this information in the medical questionnaire. What is the recommended dosage of Orlistat? You should follow the doctor’s instructions on how to take this treatment. The doses outlined below is for your reference only. Swallow the capsules whole with a glass of water, immediately before, during or after a meal. Take 1 capsule, 3 times per day. Take each capsule with a main meal. For best results, Orlistat should be taken alongside a restricted calorie diet. Note, Orlistat should only be taken if your meal contains fat. If your food does not contain fat, do not take Orlistat. Does Orlistat cause any side effects? Yes, just like all medicines, Orlistat may cause side effect in some users. Most side effects caused by Orlistat affect the digestive system and are more likely to occur during the beginning of the treatment. Always read the patient information leaflet before use. Contact your GP or nearest surgery if you notice any signs of an allergic reaction, such as itching, rash, nausea, vomiting or difficulty breathing. Yes, you can reduce the risk of side effects by letting our pharmacists know of any other medication you may take as well as any other medical condition you may have. Please include this information when you fill in the medical questionnaire. You can also reduce the risk of side effects by following a balanced and nutritious diet. For best results, you should follow a controlled calorie diet plan while taking Orlistat. Your medicine will then be dispensed and sent by tracked delivery to your chosen address. Your medicine is usually dispatched within 24 hours after ordering. Take ONE capsule THREE times daily with main meals. Select your preferred pharmacy to visit their page and enquire about this service or just pop in when it suits you.